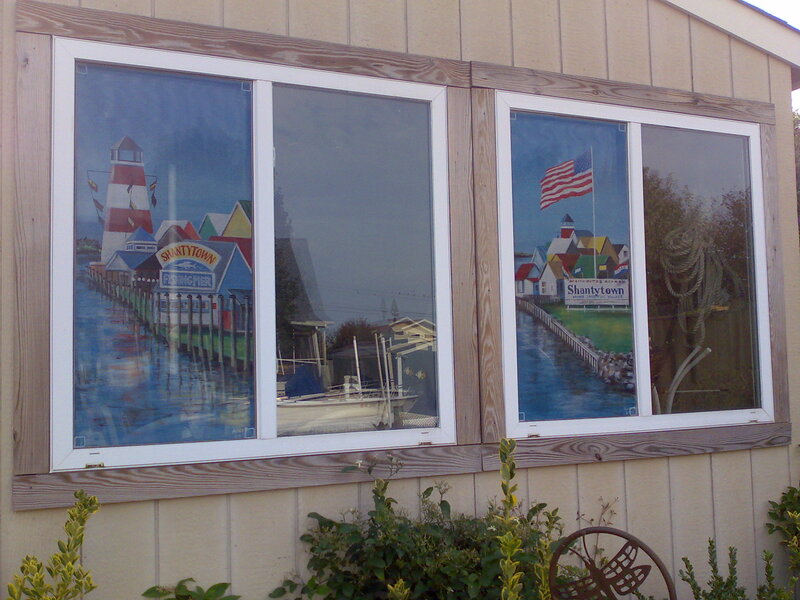 Welcome to the world of window screen painting. for the latest news, artworks, and events. 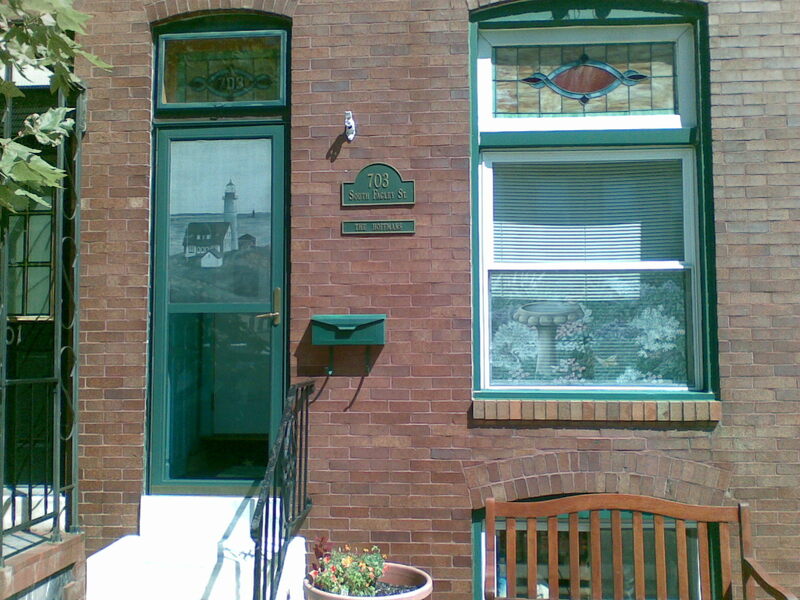 are reminiscent of the old traditional painted screens that once adorned thousands of Baltimore city rowhouse windows. 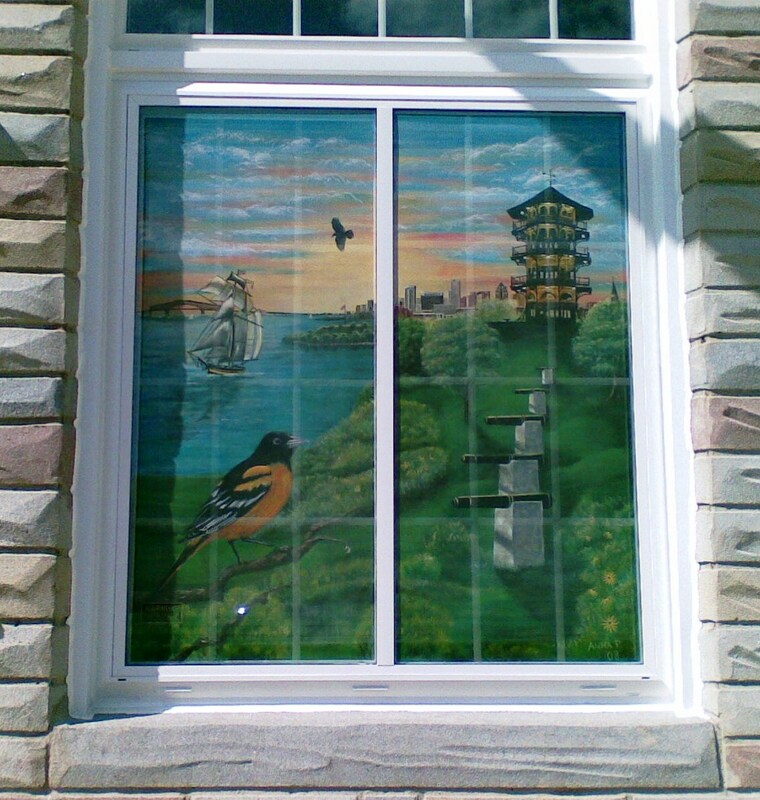 Painted screens offer privacy and a unique personal artistic flare to your home, whether you live in an extravagant estate by the sea, in a Baltimore rowhouse (where the painted screen originated), or in a quaint and cozy country cabin. 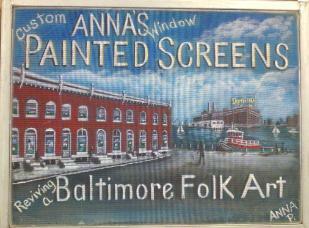 Baltimore window screen painting celebrated it's 100th anniversary in 2013. 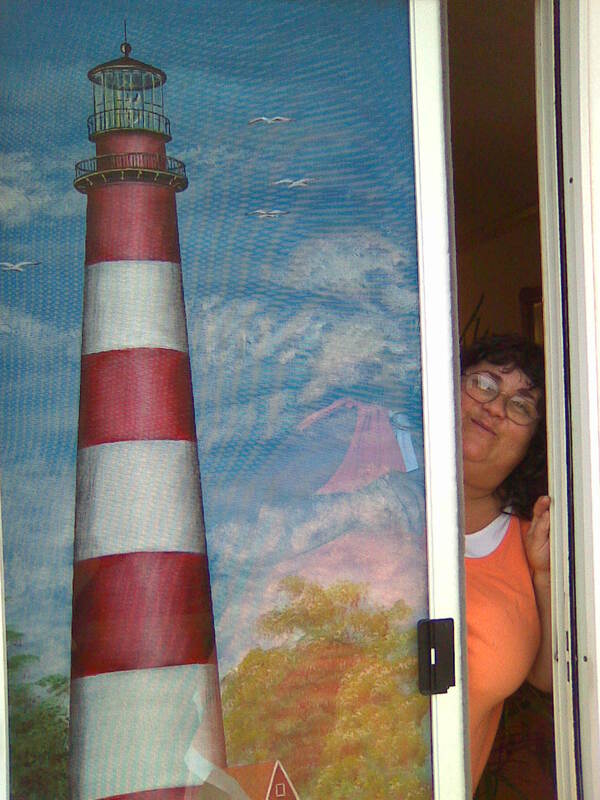 An active member of the Painted Screen Society, Anna is one of a handful of artists who carry on the local tradition, by "Painting the Town, One Window at a Time." 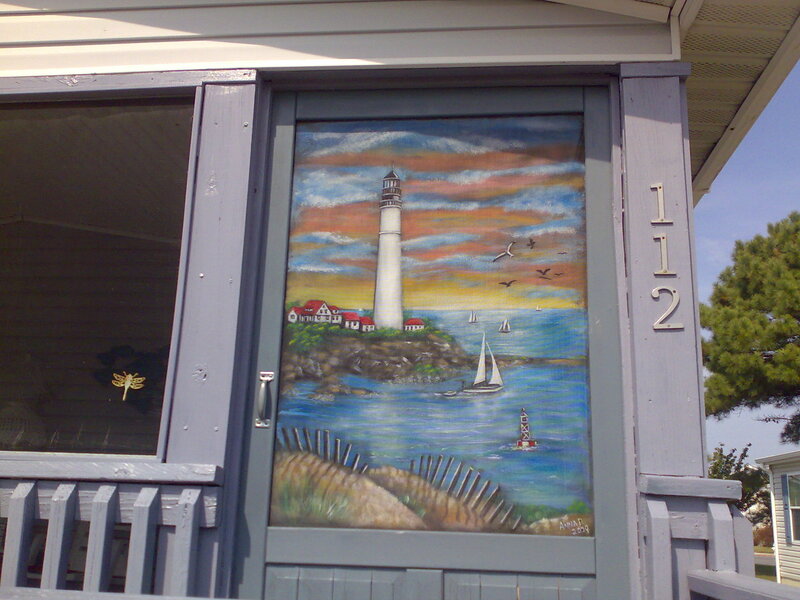 Painted screen art will stylishly decorate your home exterior, wow your neighbors, and make an extraordinary gift for that extra special person. 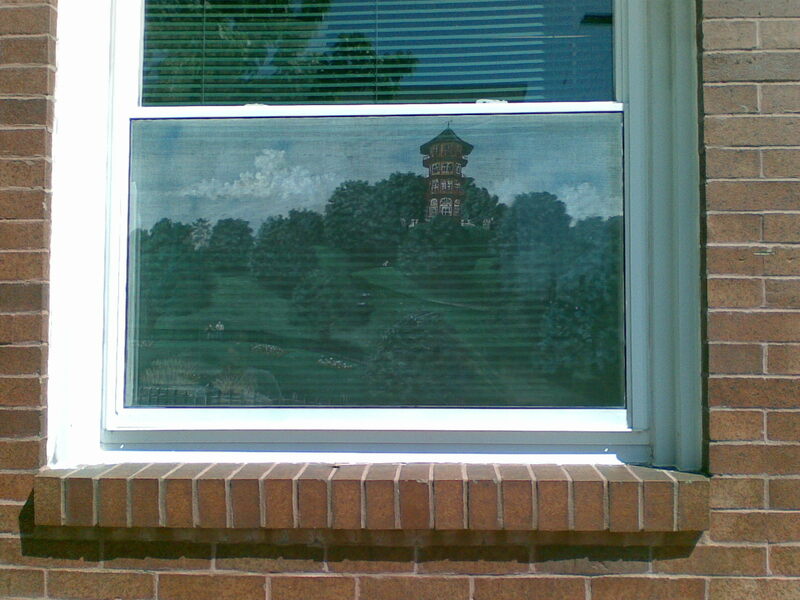 "Painting the Town - One Window at a Time"
See more of Anna's Screen Art here. where to buy and how to order? 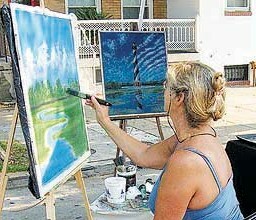 Buy screen art at Anna's Events to Paint Town craft shows and sales. Experience good old fashioned customer service. 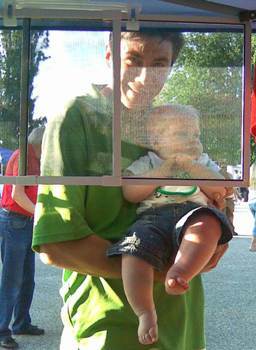 I'd be happy to paint you a personalized screen of something or someplace near and dear to your heart by special custom order. The possibilities are as endless as your imagination. 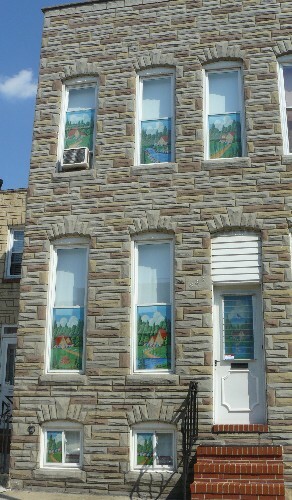 Take a self-guided driving tour of window screen paintings in Baltimore using the Art Gallery on the Street Google map here. "You see out, no one sees in"